The Alexandrov Ensemble was founded in 1928. The Alexandrov Ensemble lost 64 of its singers Dec. 25 in Sochi crash. The 64 members of the Alexandrov Ensemble, the official choir of the Russian Armed Forces, who died in the Dec. 25 plane crash outside Sochi are to be replaced by a new intake. The newcomers will take part in the choir's tour of the Czech Republic and Slovakia in the spring of 2017, lead soloist Vadim Ananyev, told the TASS news agency. Auditions were held in Moscow Jan. 19-25. 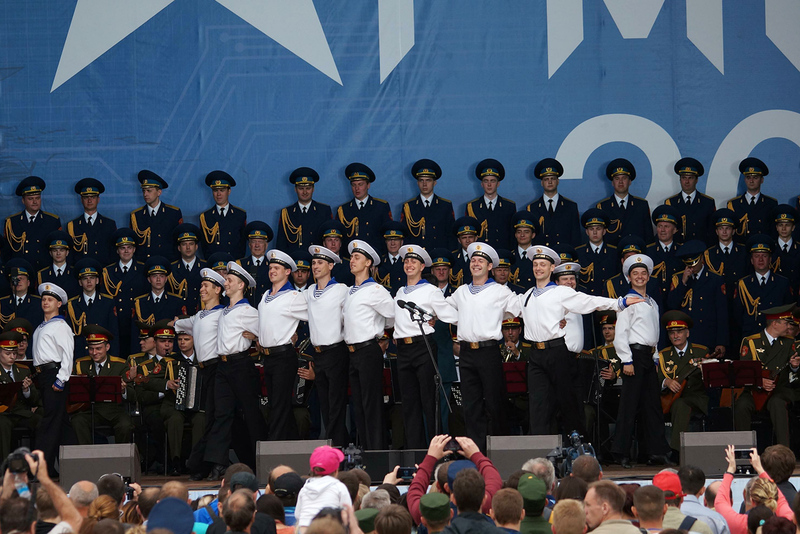 “It takes several months to familiarize newcomers with our standard repertoire, which includes 'The Sacred War' [a famous patriotic song from World War II] and 'Along Piterskaya' [a merry folk song],” Ananyev said. “We have the spring tour of the Czech Republic and Slovakia ahead of us, which have not been canceled. The tickets have been sold and people are waiting for the choir." Ananyev, who has been with the choir nearly 30 years, added: “It takes years for the choir to become part and parcel with the orchestra and the soloists, and to present the songs sung by our comrades at a decent level." The Alexandrov Ensemble was founded in 1928. Its repertoire currently comprises around 2,000 pieces, including Russian folk songs and dances, classical pieces by Russian and foreign writers and composers, and covers of international pop and rock hits, including songs by Queen and The Beatles. The choir, which normally has more than 180 singers, has visited over 70 countries.